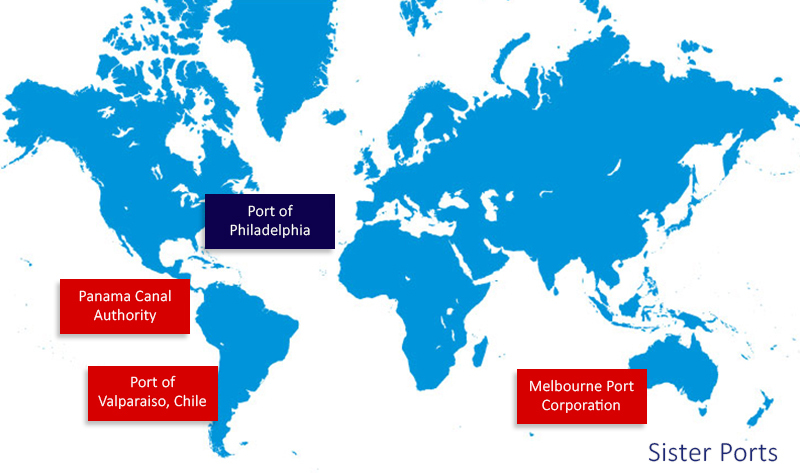 Worldwide, PhilaPort has six sister ports, or port cooperation agreements. The first was set up with the Port of Kaohsiung in 1990. The various partnerships involve an exchange of technical and commercial know-how and experience on best practice. A further objective is to build up strategic networks in ports with many trade routes from/to Philadelphia. Copyright © 2016 Philadelphia Regional Port Authority. All rights reserved.